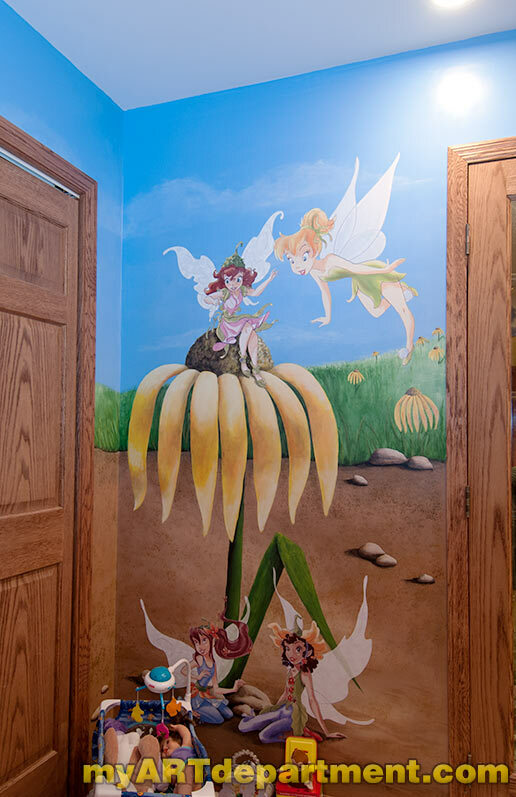 This was a fun mural that started out when the client purchased some large decals for the kids’ playroom. She wasn’t sure what to do with them, so Cindy came up with the idea of incorporating them into a mural. This allowed Cindy to design a background that worked all of them into one large one scene. 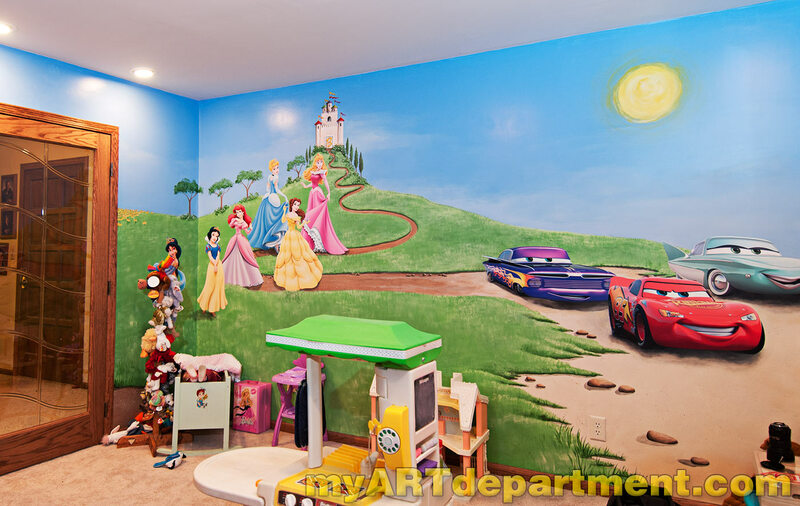 I also kept costs down for the client as Cindy didn’t have a lot detail to paint. 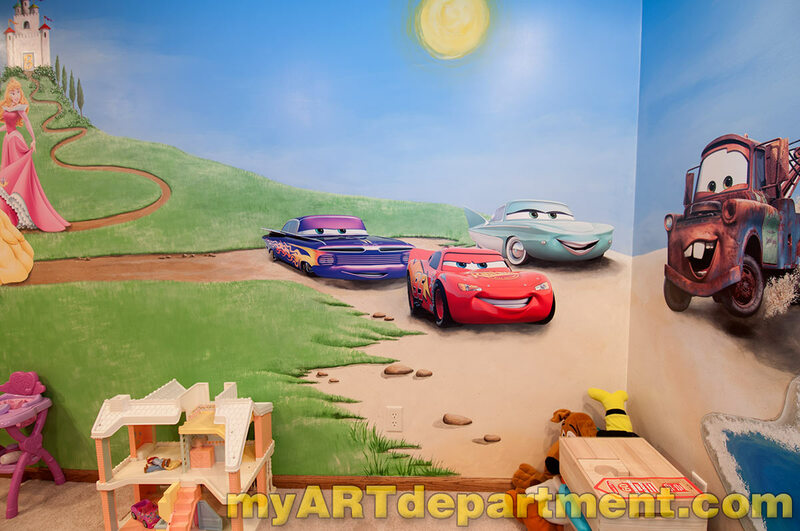 Cindy painted the background and then applied the decals and touched up around them by adding shadows and blending them into the wall. 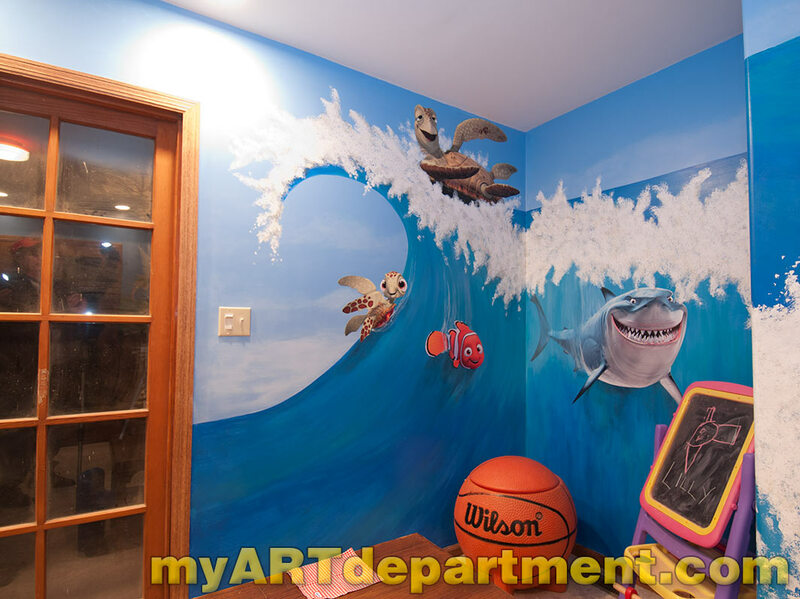 The result is a unique, custom and fun mural for the kids.